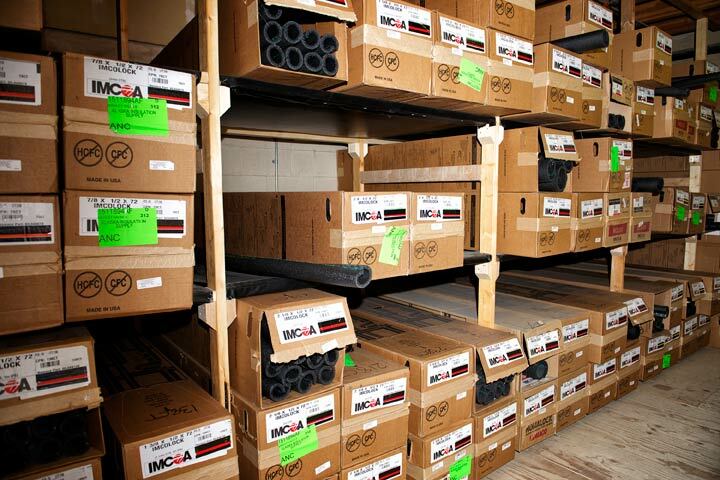 AIS, Inc. boasts over 12,000SF of warehouse facility stocked with thousands of mechanical and specialty insulation products for a wide variety of applications. We are a major supplier of pipe insulation and accessories, duct insulation, tank and vessel insulation, specialty high temperature and low temperature insulation products, along with board and blanket insulation, and jacketing systems. We also specialize in firestopping and corrosion control products featuring Polyguard Products RG-2400. AIS, Inc. has built its strong customer base by providing only the finest insulation products on the market along with unsurpassed customer service. We are partners with such industry leading manufactures as Knauf Fiberglass, RPR Metals, Polyguard Products, STI Firestop, 3M, Armacell, Mon-Eco, Buckaroos, just to name a few. If you have an insulation question, please do not hesitate to contact us. Combined, our staff has nearly a century worth of experience in the industry to help you with all of your insulation, firestop and corrosion questions. Browse our product categories below. Click any link to view more information.